We are a prominent Manufacturer and Supplier of premium quality Moringa Oleifera Leaves, from India. Moringa Leaves Powder is a very good source of various nutrients and vitamins for humans as well as animals. Moringa Leaves Powder contains Pro-vitamin A, Vitamin B & C, manganese, and protein. Finely ground, Moringa Leaves Powder, is free from adulteration and impurity. 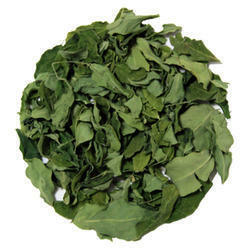 Dried Moringa Leaves available in bulk quantity. Shade Dried , Cleaned with out Foreign matters. Regular and Organic also available. We are looking for Export Inquiries from All Over the World. - Juice from the leaves is believed to have a stabilizing effect on blood pressure and is used to treat anxiety. It is believed to control glucose levels in cases of diabetes. We are offering premium quality Moringa Leaves to our clients. Moringa is very good medicinal herbs used for improving immune system. Owing to the rich industrial experience and expertise in this business, we are involved in providing supreme quality array of Green Moringa Leaves. 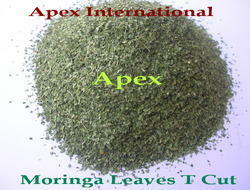 We bring forth our vast industrial experience and expertise in this business, instrumental in providing Moringa Leaves. To meet the variegated demands of the clients, our company is instrumental in offering an excellent quality range of Dry Moringa Leaves.